Here are couple of differences between ArrayList and HashSet. Implementation : ArrayList implements List interface while HashSet implements Set interface in Java. ArrayList is backed by an Array while HashSet is backed by an HashMap. ArrayList allows duplicate values while HashSet doesn’t allow duplicates values. 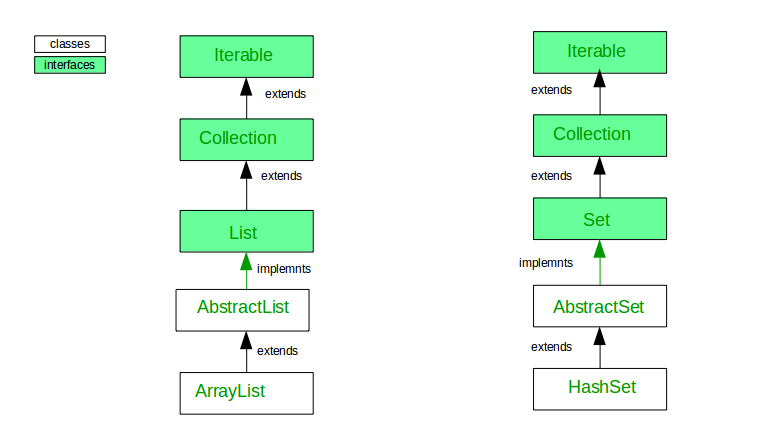 ArrayList maintains the order of the object in which they are inserted while HashSet is an unordered collection and doesn’t maintain any order. ArrayList is index based we can retrieve object by calling get(index) method or remove objects by calling remove(index) method while HashSet is completely object based. HashSet also does not provide get() method. ArrayList not apply any restriction, we can add any number of null value while HashSet allow one null value.